Ahhhhh, maple syrup. So sweet, so delicious, so luxurious! Having a jar of it in my fridge makes me feel rich. I dole it out in little spoonfuls on the kid’s pancakes, stir it into my coffee, and add a good slurp to my salad dressings. Maple syrup is incredibly expensive as far as sugar goes, which is a good thing. Just imagining how much work goes into its production heightens my enjoyment of it immensely. Every year, my dad taps the sugar maples in front of my parent’s house. He collects the sap in buckets, then transfers those to a large barrel, which he pools with sap from our neighbours. 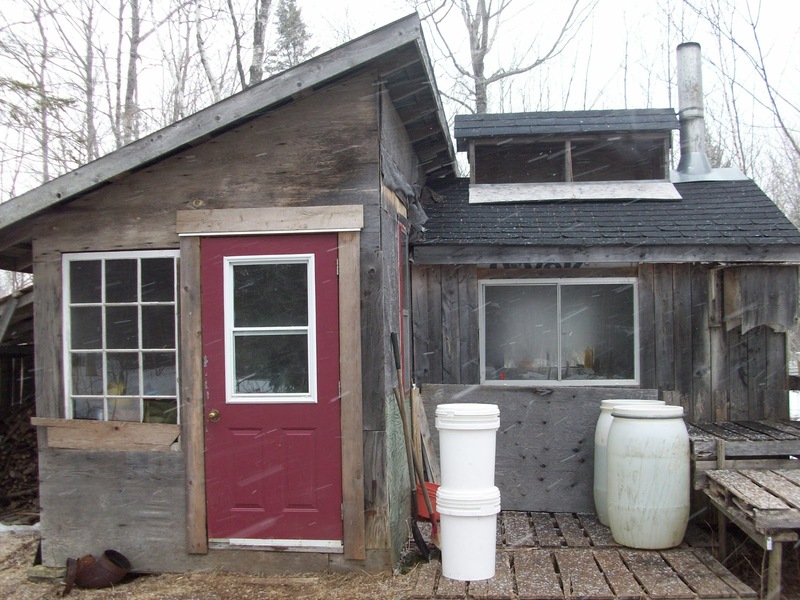 It all ends up at Eric and Noreen Clem’s sugar shack, where long but pleasant hours are spent boiling the sap in open pans over an ancient wood stove. It’s mostly the men sitting into the wee hours of the morning waiting for the syrup to hit just the right consistency before pulling it off the fire and divvying it up. 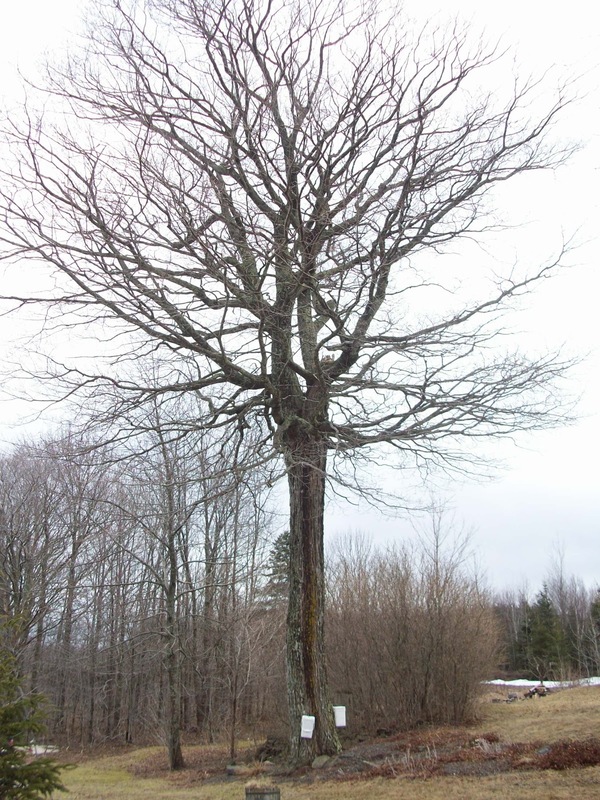 You’ve probably heard that it takes 40 litres of sap to make just 1 litre of syrup, but that’s not an exact science. 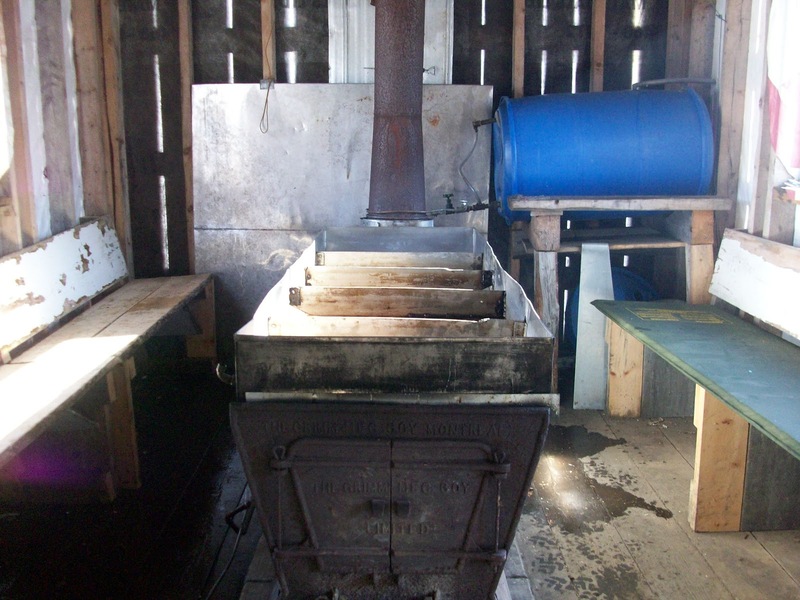 Making maple syrup is an art, a passion, and a commitment. Sap at a Rolling Boil! What if all the food we ate was like maple syrup? What if the price we paid truly reflected the effort of its production? Would we enjoy more and consume less if just feeding ourselves cost 55% of our income, like it does for the average East Indian household? North Americans on average spend less than 10% of our salaries on food, leaving us with more money for bigger houses, leisure activities, and stuff. We also have the highest rates of mental illness and obesity. I don’t think it is much of a leap to believe that if we were more connected to the food on our plate, we would feel more whole and satisfied. A little time spent with our neighbours wouldn’t hurt, either. 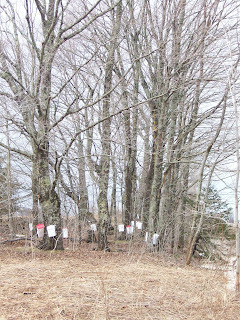 If you don’t have a shack of your own, you can still have great Nova Scotian maple syrup. 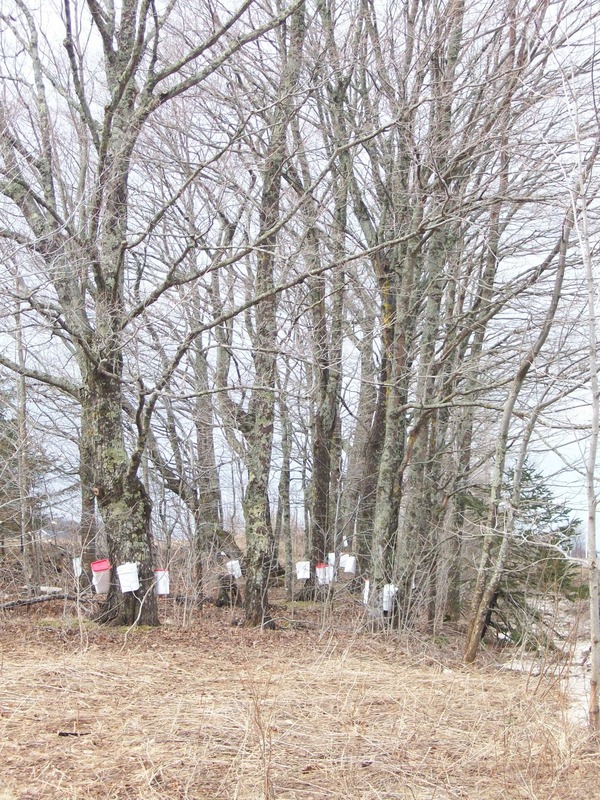 Nova Scotian maple producers made 128,000 litres of pure maple syrup last year, and it can be found at farmer’s markets, specialty shops and sometimes, your local grocery store. Buy a big jug, it’s cheaper and lasts a long time if you refrigerate it. And you’re gonna need it if you like the following recipe as much as I do! I did not invent this recipe. It is straight from March’s issue of Saveur, and when I saw the picture, I had to make it, even though it uses a ridiculous amount of maple syrup. We had ours with vanilla ice cream, and I suggest you do the same. 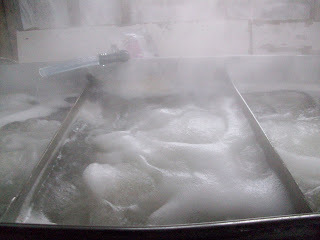 Bring syrup and 1 1/4 cups water to a boil in a 6-qt. Dutch oven over medium-high heat. Meanwhile, whisk flour, baking powder, and salt in a bowl; set aside. Grate butter on large holes of a box grater into flour and toss to coat; add milk and stir with a fork until dough forms. When syrup mixture reaches a boil, use a spoon to drop large clumps of dough into syrup. Cover pot; simmer until dumplings are cooked through, 10–15 minutes. Spoon dumplings and sauce into 6 bowls and serve. This dressing, made in quantity, lasts a long time in your fridge. I guarantee it will increase your salad consumption. It can be as simple as buying bagged greens from the market, and tossing them with enough dressing to coat. You might find that the olive oil solidifies in your fridge. Either remember to take it out half an hour before you use it, or warm it for about 30 seconds in a microwave. Combine all the ingredients in a jar and shake. Taste, you might find it a bit sharp (I like vinegary dressings). If it is too puckery, add a little more olive oil. I'd like to take my family to a maple sugar shack this season, do these guys take guests? If so, where are they or how can I contact them? If they don't, can you recommend any others? I loved going in NB when I was a kid and would like to find another to make an annual outing.